Today I have a project that is bit different then what I normally do. As I mentioned in Friday's post, my paper skills are not that stellar. However, I'm trying to push myself this year to craft more things that are ''outside'' my comfort zone. 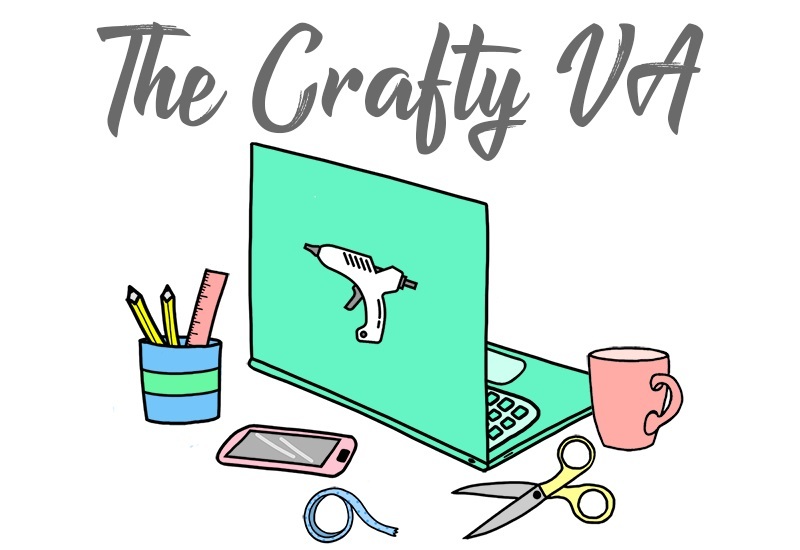 Now even though we're not making a card today, I will be using some technique that you do find in cardmaking. Today's project is part of my collaboration with Xyron since I'm a member of their design team! This means you will be seeing a Xyron machine in action! For this particular project, I will be showcasing the Xyron® 9'' Creative Station. I've talked about Xyron's Creative Stations before, so if you want to learn more about them, then click here. 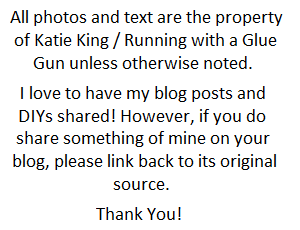 Also, in this project, I will be using items from Brutus Monroe. 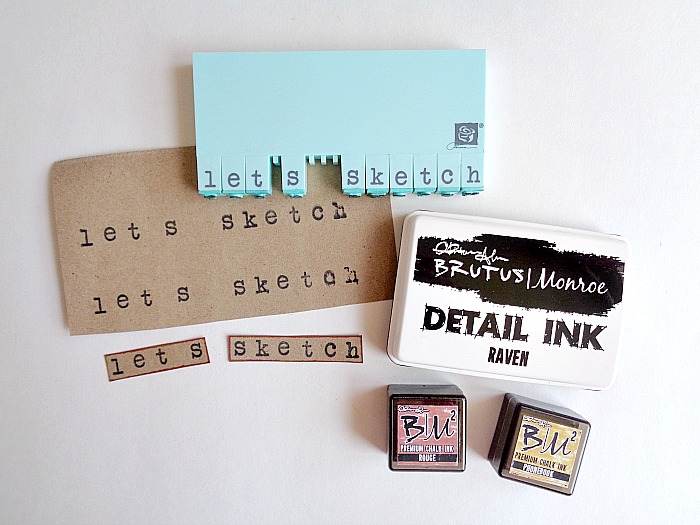 If you have never heard of Brutus Monore is it a stamp line which has beautiful papers, stamps, stamp pads and other items. All these items are designed to be used in a variety of craft projects or mix media types of projects. 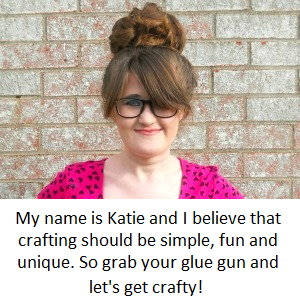 I've seen the line be used mostly in cardmaking which is why I decided to go the ''cardmaking route''. 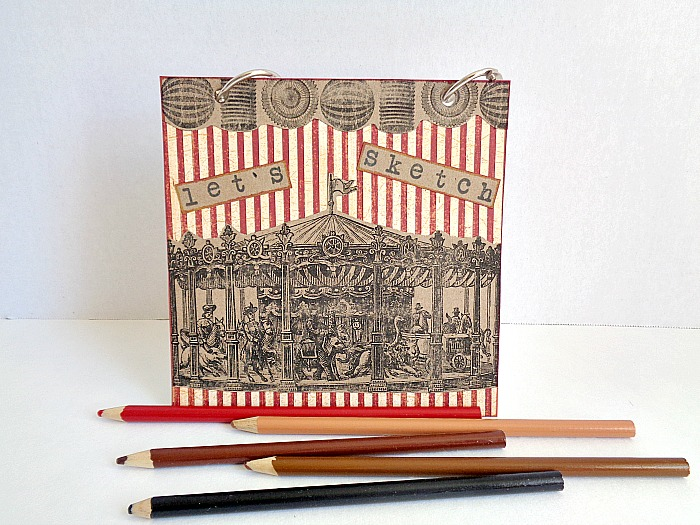 However, as you can tell by the title, we are making a fun sketch pad! 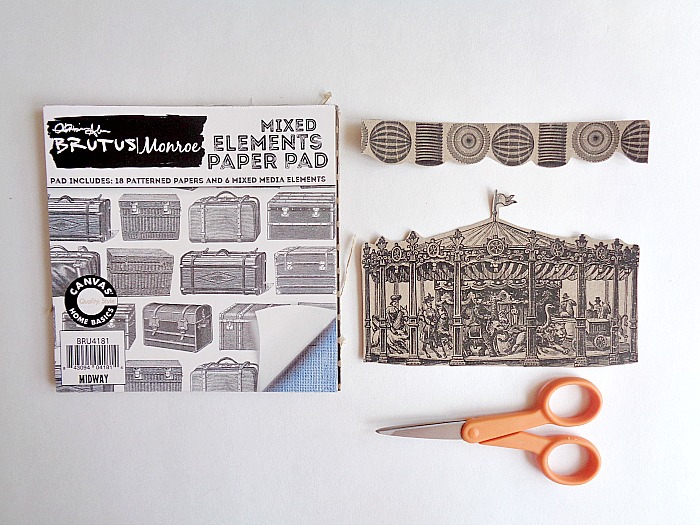 This project is actual a great ''recycle'' type of project because you can use those little pieces of paper or embellishment that you have been saving forever. Also, this is a great way to use up old blank cards that no longer have their mate or envelop! So, let's make a sketch pad! Step 1: Cut out a piece of paper that is the same size of your card (I used Graphic 45's Life's a Ball). 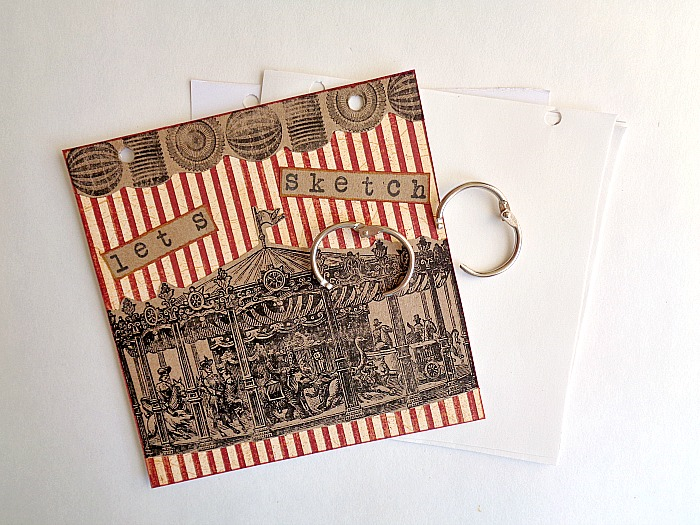 Step 2: Grab your Brutus Monroe Mixed Elements Paper Pad and find an image that you want to use on the cover of your sketchbook (I used the carousel/carnival themed page). 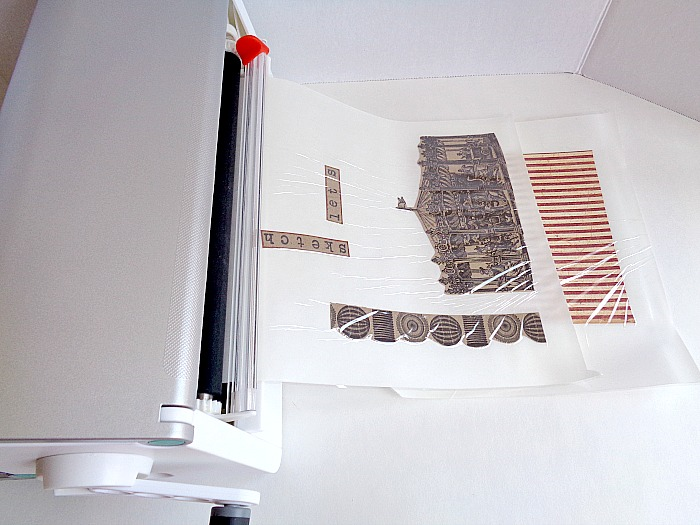 Then cut out the main portions of the paper and set them to the side. 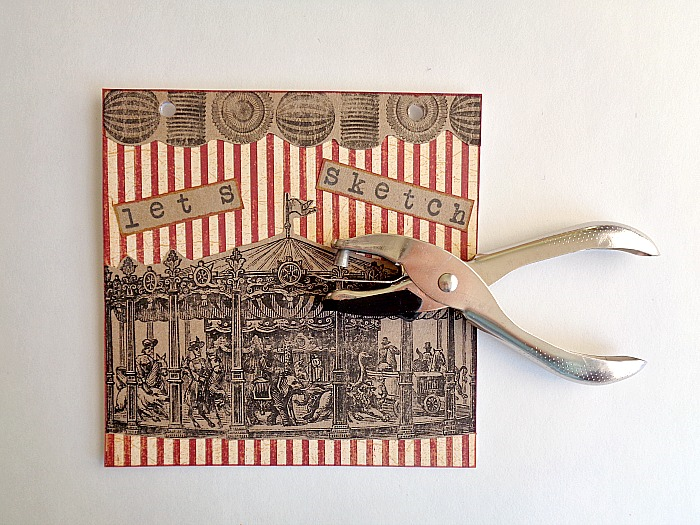 Step 3: Using your stamps, stamp out the words ''Let's Sketch''. Then cut out your words into two paper squares. Finally, take your Brutus Monroe Premium Chalk Ink (in Phonebook & Rouge) and lightly drag them across the edges of your paper word squares. This helps, to give your stamped words more dimension. 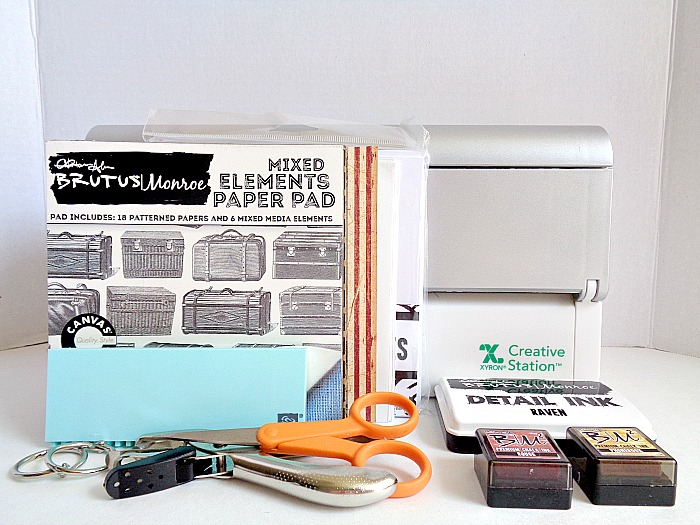 Step 4: Grab all of your paper pieces and run them through your Xyron 9'' Creation Station. Step 5: Now take each piece and rub the top of the sticker paper. Then peel each piece of paper off the sticker paper and adhere them to your card. 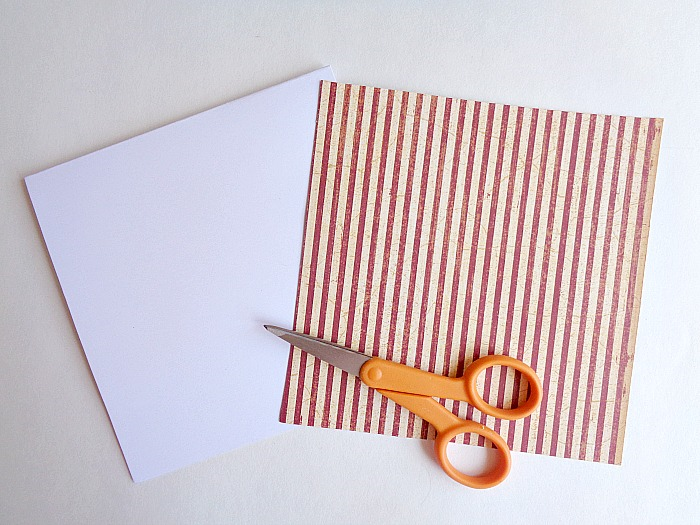 Step 6: Punch two holes at the top of your card, then cut your card in half so you have a front and a back. 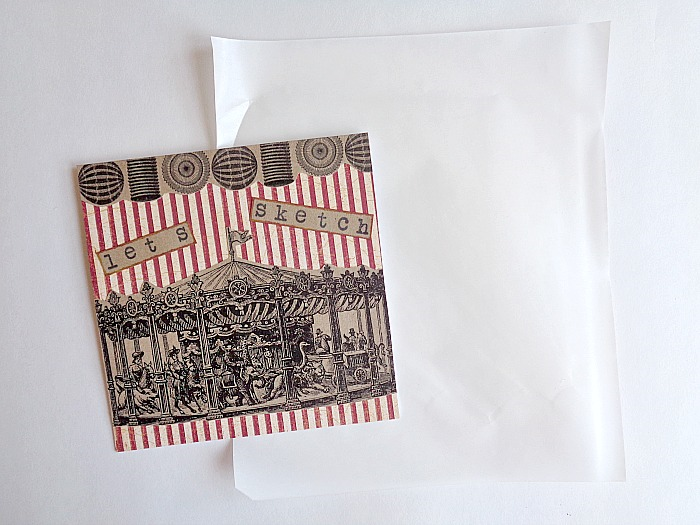 Step 7: Now grab your 6'' x 6'' paper and place it into the middle of your card. Finally, open up your binder clips and slide your card stack onto the rings. Once you're happy with how everything looks, close the binder clips and you're done! 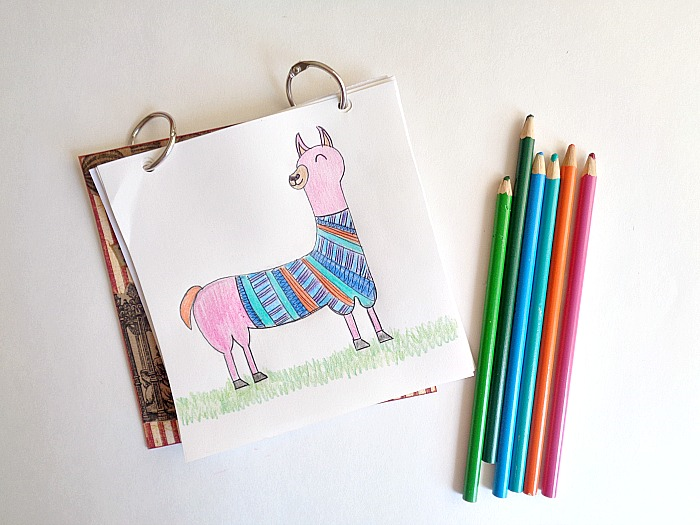 Save the drama for your badly drawn lama (lol)! As you can see, by using the 6'' x 6'' card as a base, it really gives you a nice size sketch pad to draw on. With that being said, the size (overall) is still small enough to fit into a purse or bag. Which makes it great because it allows you to always have something to doodle on or a place to write down those amazing DIY ideas! My one suggestion, however, would be to add a piece of cardboard that is also 6'' x 6''. This is so the cardboard can act as a strong ''backing'' when you do decide to draw. So what do you think? 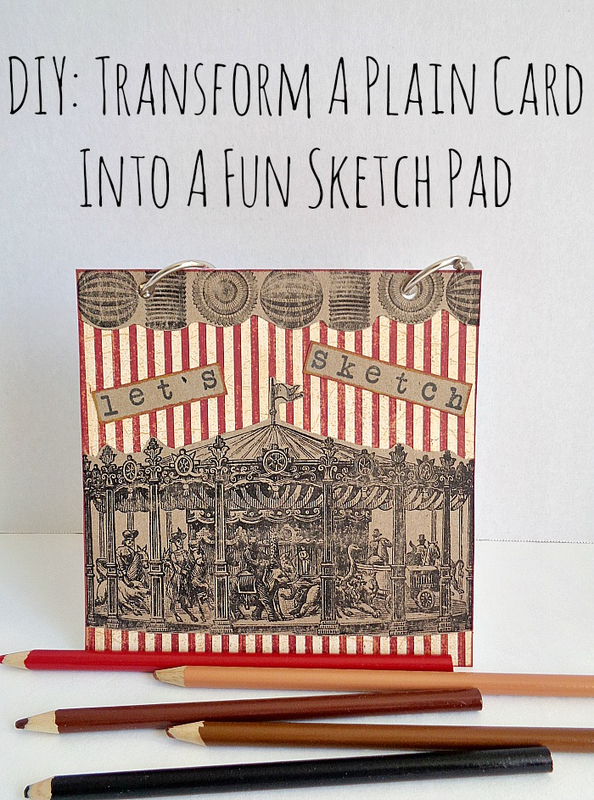 Do you like this idea of a card being turned into a sketch pad?